Build some FUN at a LEGO Play Time. These events can be a great way to spend some time when the weather is too cold, too rainy, too hot or too whatever for outdoor fun. These programs are offered at local libraries throughout Middle Tennessee. 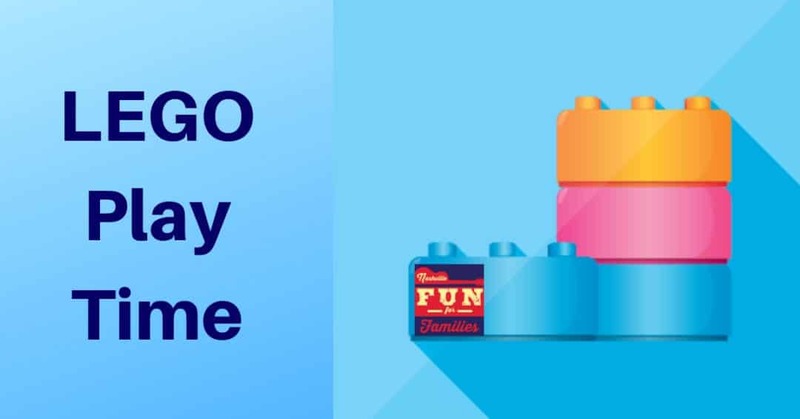 Whether your child is an expert builder looking for like minded friends or just a beginner looking for some fun, there’s definitely a local LEGO Play Time that will work for you. Most of these programs are not offered on holidays or during summer break so be sure to call your destination library before you head out just to make sure the program details haven’t changed. Don’t be afraid to visit a new library if their LEGO Play time works with your schedule. You might make some new friends! Lego Club- Every Second Sunday 3PM – 4PM. LEGO League is designed for families – parents are encouraged to stay and build with their children. LEGOs, DUPLOs and Mega Bloks are provided. Designed for kids age 5-9. Lego at the library – Saturdays: Mar 23, Apr 20, May 25. Come build with LEGO: bring your imagination and we provide the materials. For ages 3-12. Bring your creativity to LEGO Mania where children will create masterpieces of their very own. You supply the imagination, and we’ll provide the LEGO bricks. For ages 5-12. Lego Play Time- 4th Saturday of every month from 10:30AM – 12:30PM. LEGO Club – 1st Saturday of every month at 1:00 PM. Kids and caregivers who love to build, come to this fun and creative STEM themed program. You can become a master builder! Lego Junior Maker Club – 1st Saturday of each month from 10AM – 11AM. Designed for children age 4-12 years. Lego Mania – Unleash your creativity! Join us for a fun filled afternoon of building your own designs. This program is offered a few times each month. Advance registration is required. Check library calendar for dates. Legos in the Library. First Saturday of the month 3PM – 4:30PM. And don’t forget about the LEGO store at Opry Mills Mall. They have events scheduled every month if you need more building opportunities.